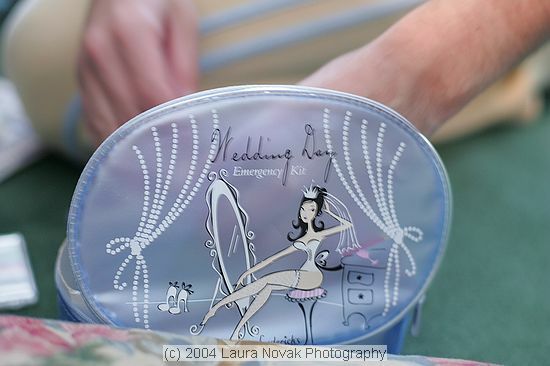 Every bride needs her Wedding Day Emergency Kit! 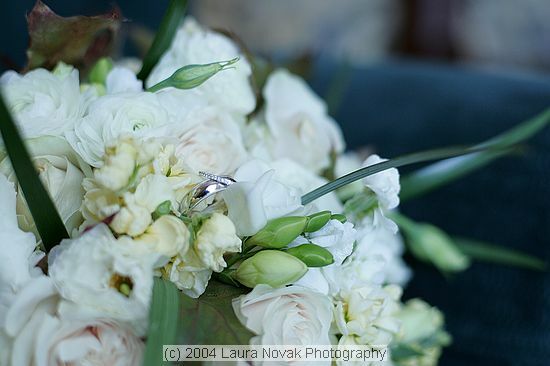 Our wedding rings in the bridal bouquet. 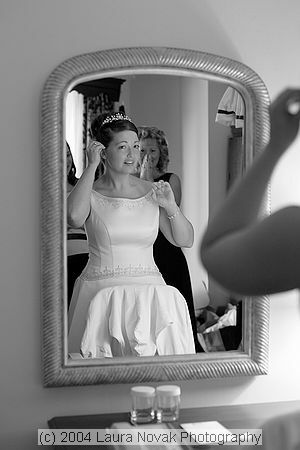 any last-minute nerves and finish getting ready for the big day. 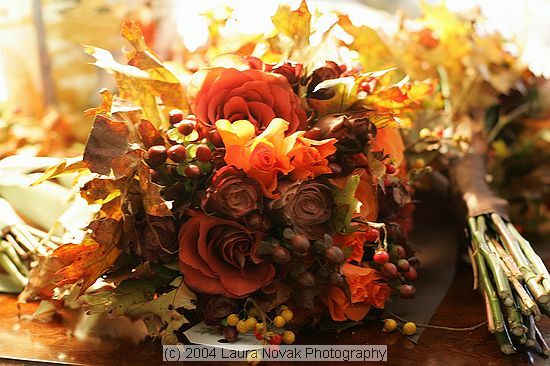 included my request to add fall leaves to the fall-themed flower selection. 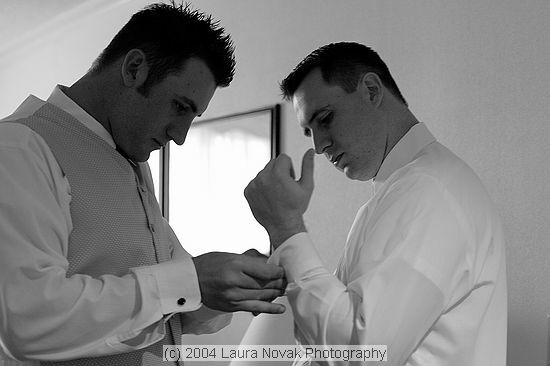 Best Man Chris Vasami helps the handsome groom get ready. 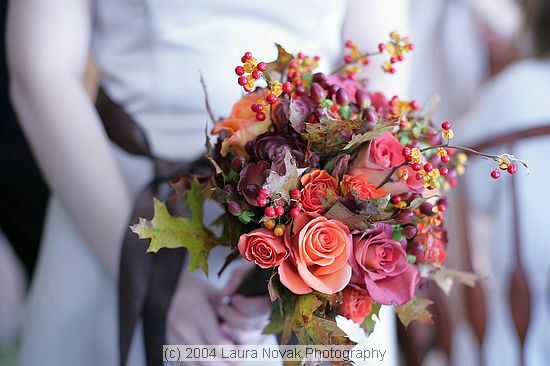 Another picture of the bridesmaids flowers. Just perfect! 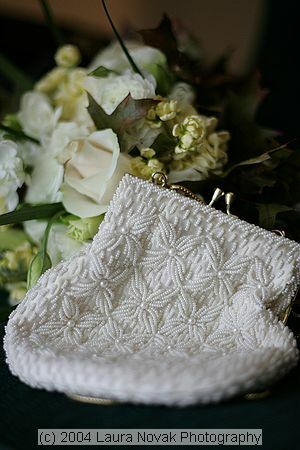 My 'something borrowed' on the left - the purse my mother-in-law wore at her wedding nearly thirty years ago; and my 'something old' on the right - a pin that belonged to my maternal grandmother, Mary Stringer Guie. 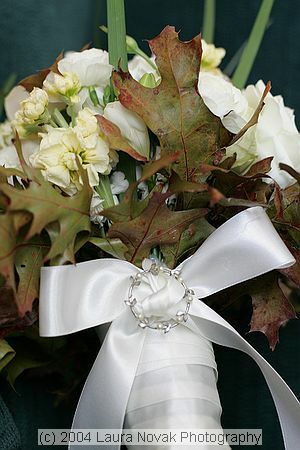 Both items incorporated silver and pearls - both of which complimented my bridal gown. Here is my 'something blue' - this is a tiny shoe with a removable lucky penny and a blue bow. I attached the lucky penny and the blue ribbon to the hem of my wedding dress. My mother in law gave this to me at my bridal shower in New York. You can also see my 'something new' - I spoiled myself with a Swarovski bridal jewelry set, including this bracelet, a tiara, a necklace, and earrings in a leaf and pearl theme. Left: Here is a picture of my hair as it is being finished by Frank. 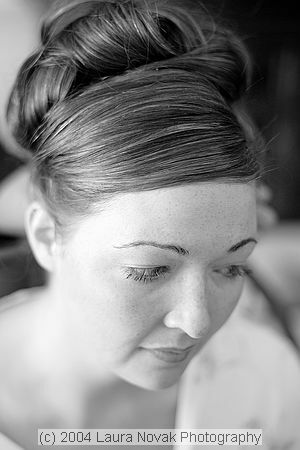 in the mirror behind me, hands clasped to her face.